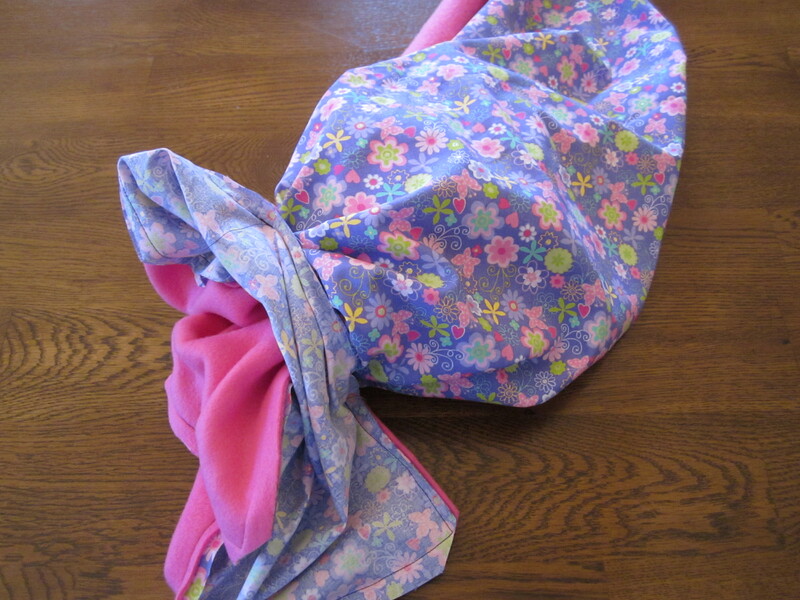 Cut one piece of 30″ x 21″ cotton and one piece of 30″ x 21″ fleece. 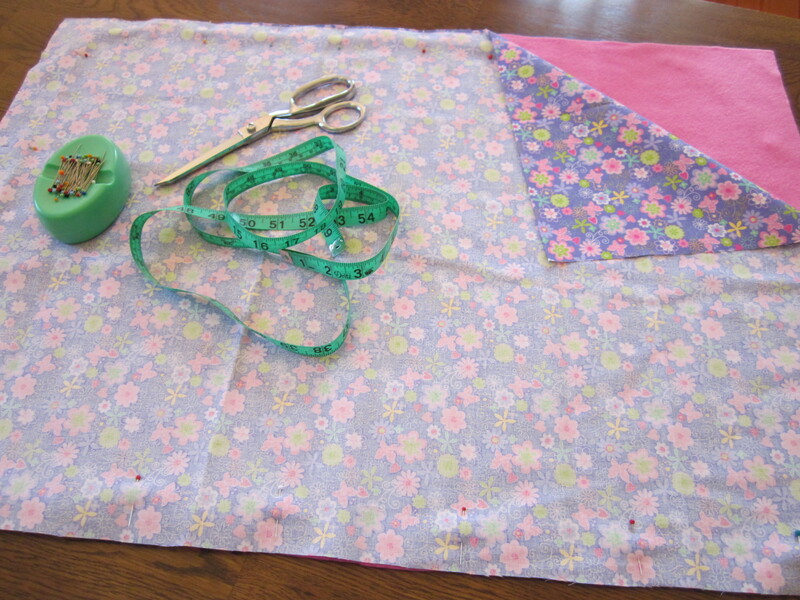 Pin the two pieces of fabric together. The cotton should have the wrong side facing out. 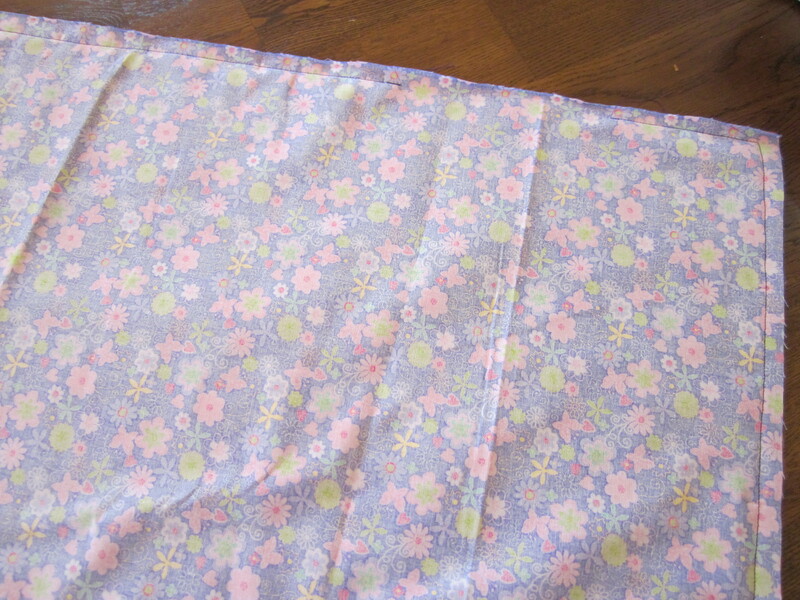 Sew the two pieces of fabric together about 3/8″ from the edge. Leave an opening along one long side. Turn the fabric right side out through the opening. Push the corners out with a finger, so they are square. 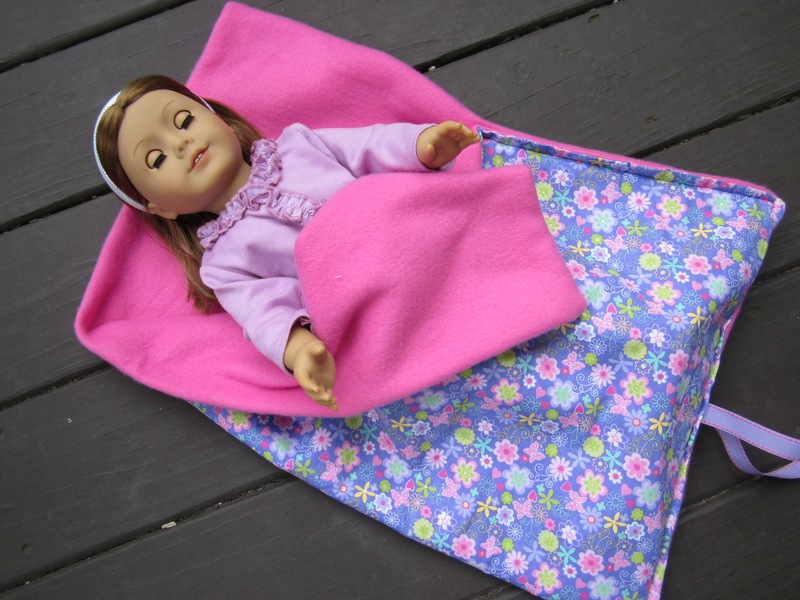 Fold the fabric in half. Cut a piece of ribbon about 30″ and fold the ribbon in half. 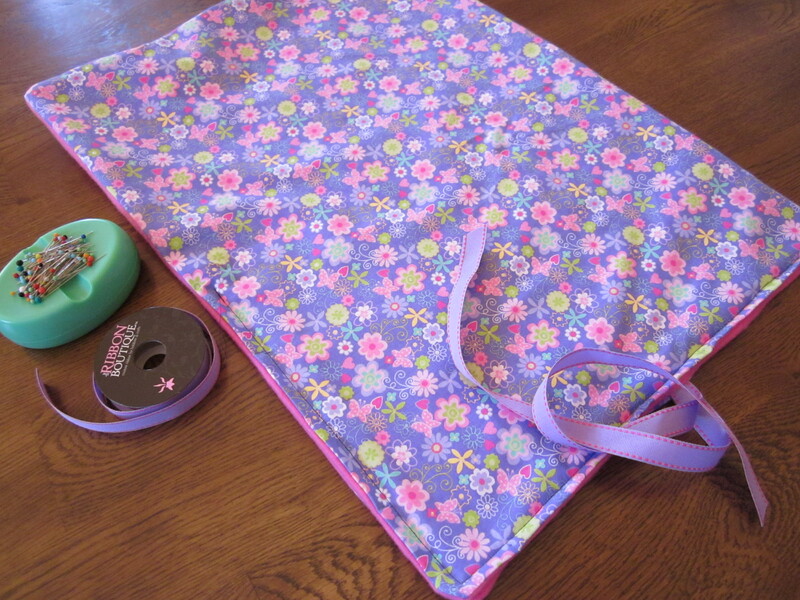 Insert the folded end of the ribbon into the fabric opening and secure the ribbon with a pin. Pin the fabric along the edge that has the ribbon and halfway up the open side. 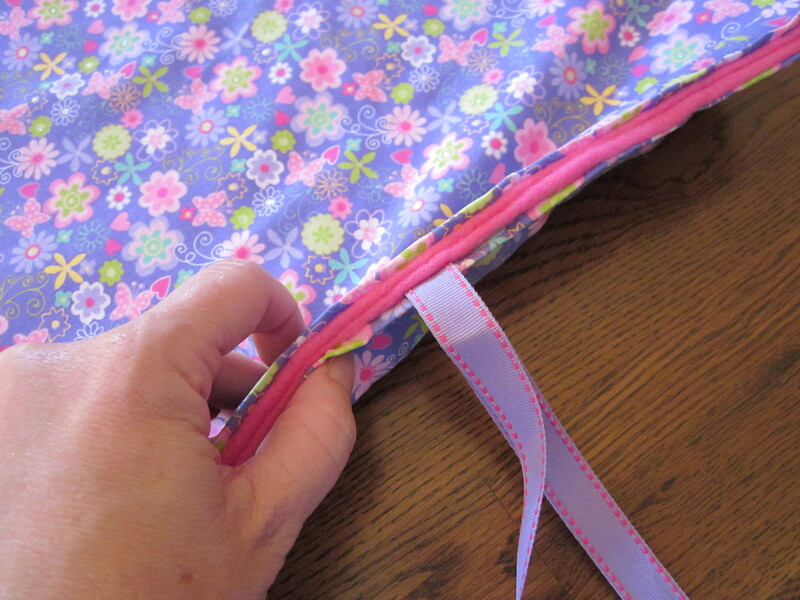 Sew the edge with the ribbon and the partial side together. 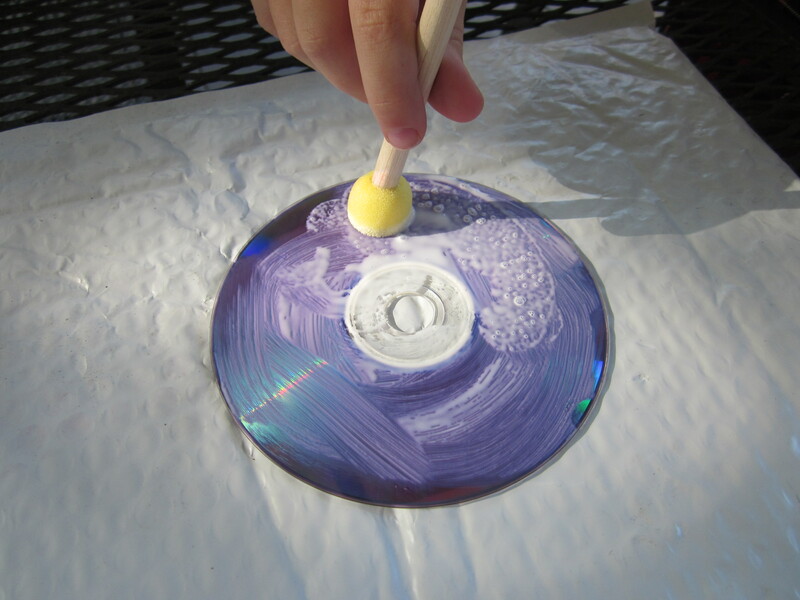 Cover the surface of the CD with glue. 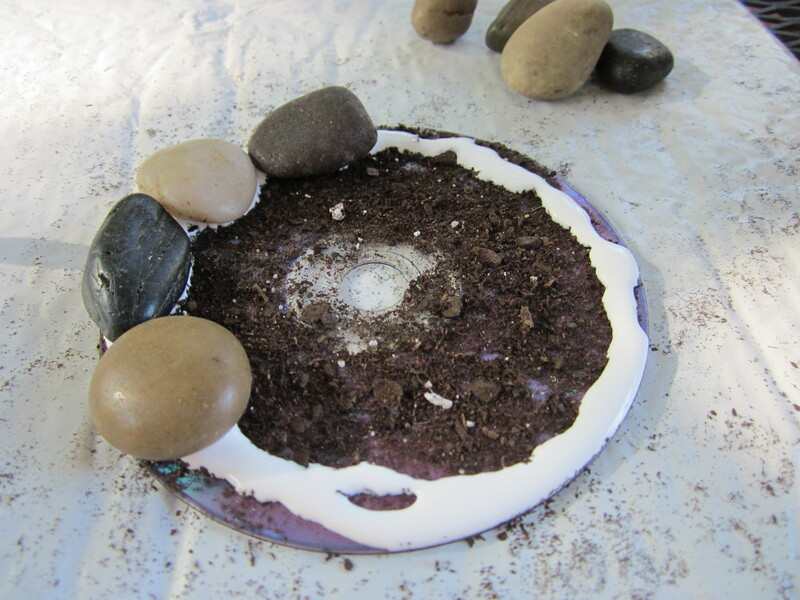 Sprinkle potting soil on top and shake off the excess. Drizzle more Elmer’s glue around the edge of the CD. Add rocks around the edge. Rocks that are about the width of a quarter work well. 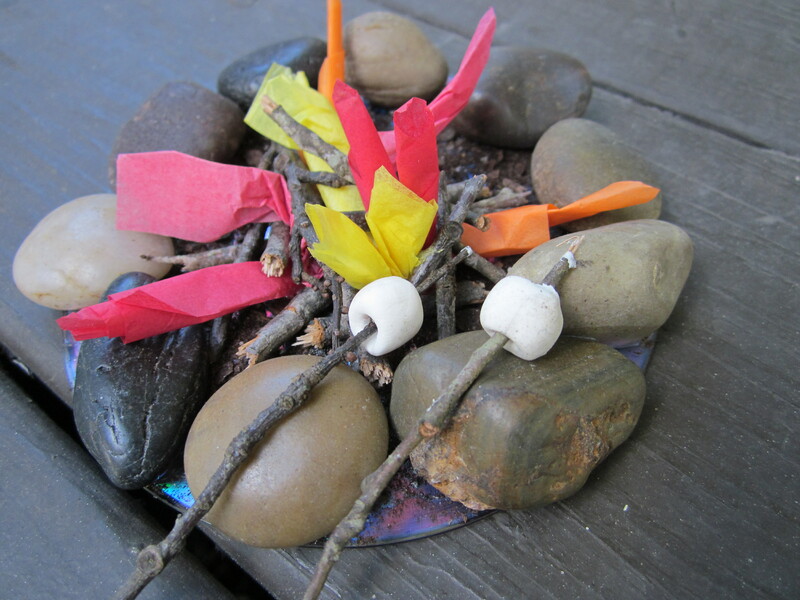 Collect small twigs from your yard and break into small pieces (maybe 2″). 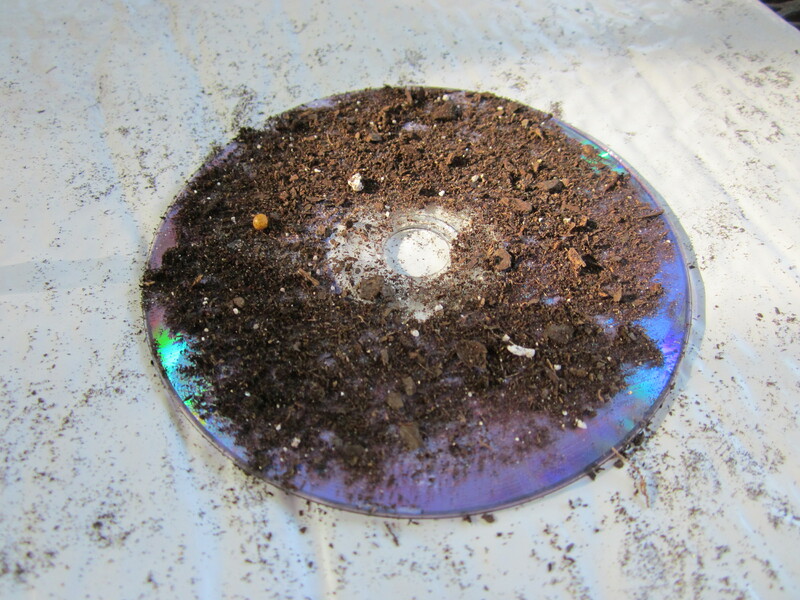 Drizzle glue around the center hole of the CD and stack twigs. 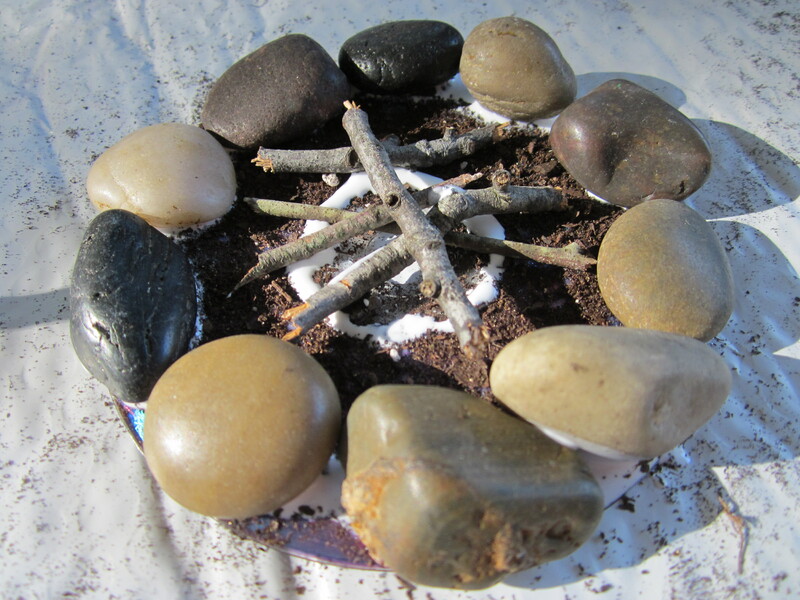 Drizzle a little more glue and add sticks until it looks like a campfire. 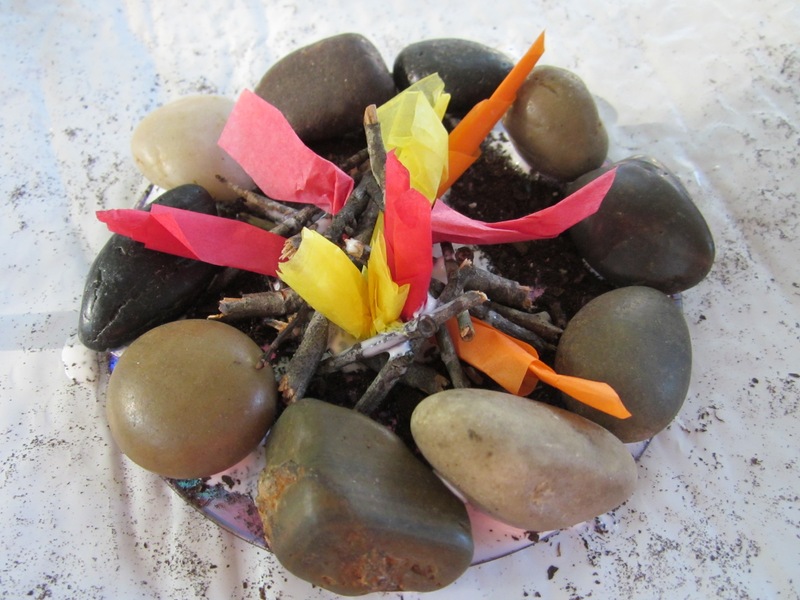 Roll the squares of tissue paper into a flame shape and insert between the twigs. Drizzle glue here and there as needed. Let campfire dry overnight. Roll a pea sized piece of Model Magic between your fingers into a ball. Flatten the top and bottom, so it is cylinder shaped. 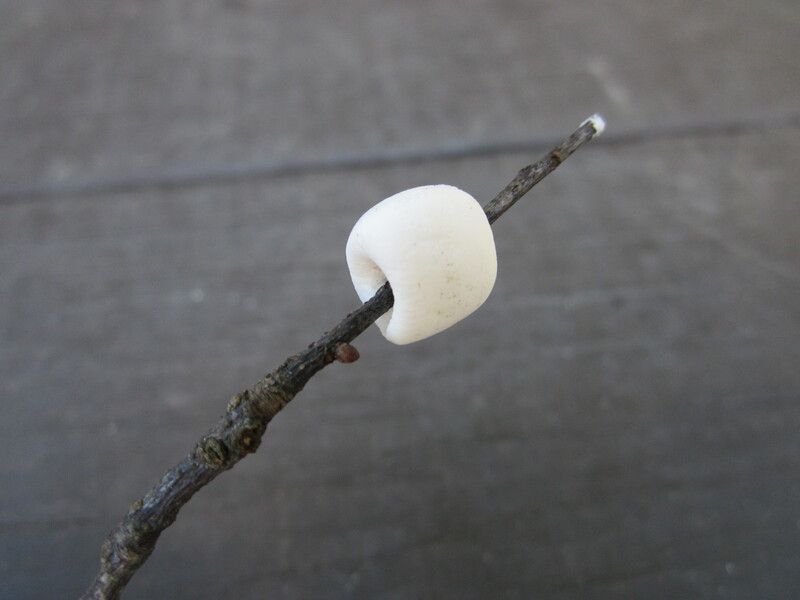 Push onto a twig. Let dry overnight. Find a small twig and break it to the height of the jar (about 1″). 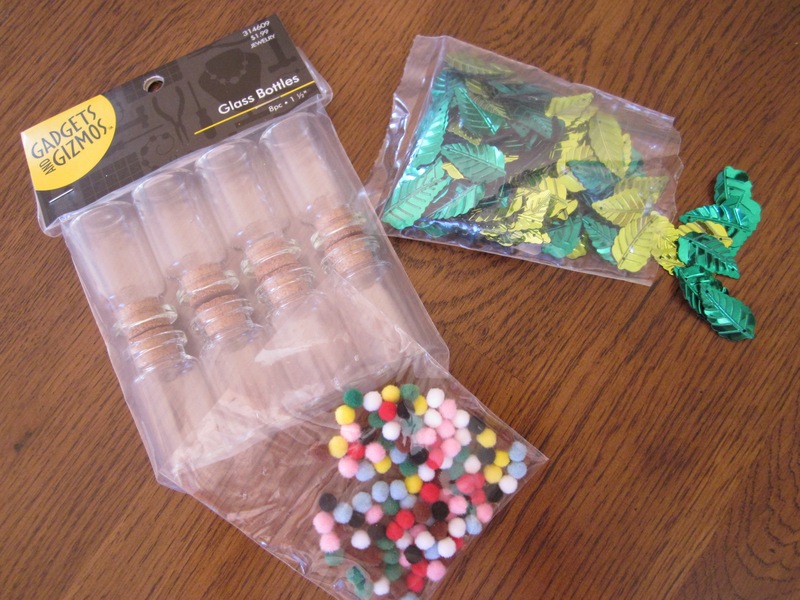 Secure 3-4 mini pom poms to the twig with the glue dots. This is the caterpillar. 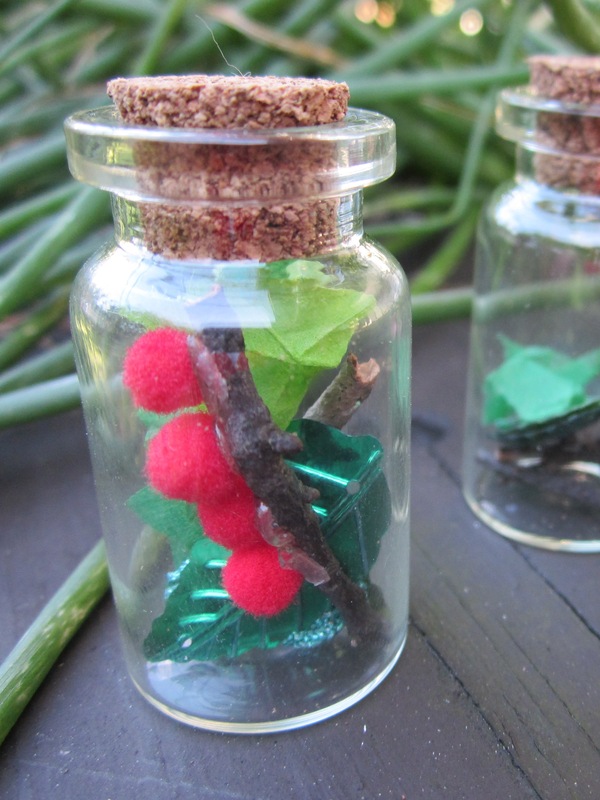 Put the caterpillar on the twig in the jar and add a sequin leaf, small torn pieces of tissue paper, and maybe another small twig. I know the scale is not perfect, but the bug jars are our favorite American Girl accessory right now. 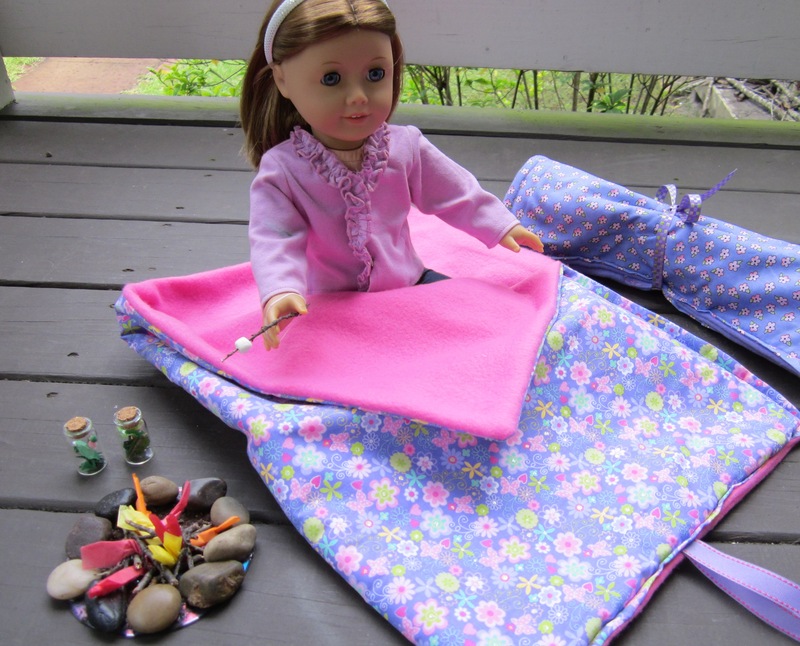 What is your favorite American Girl craft? Don’t forget to go back and look at the American Girl Cafe, American Girl Sweet Shop, or American Girl School before making a decision! Holy moly – this is beyond cute!! How creative you are. 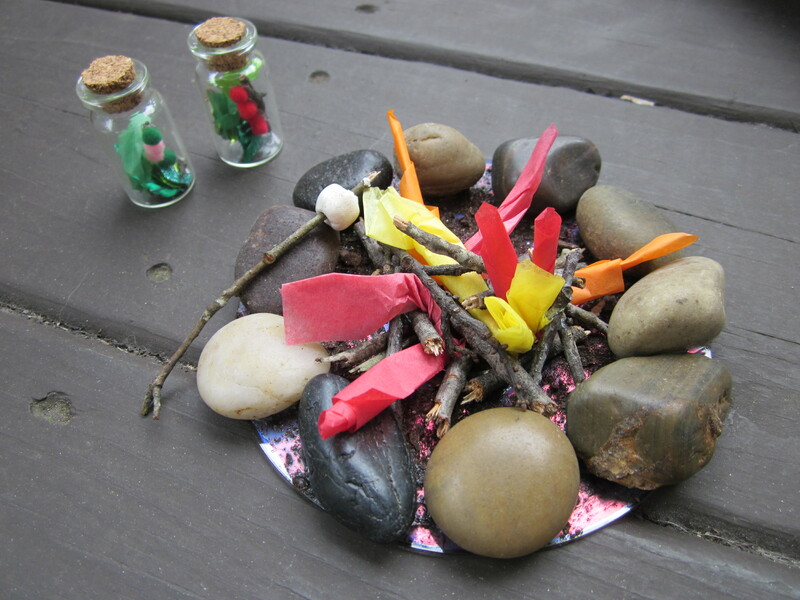 I call it creative– my husband calls it crazy! LOVE this idea! Can you please tell me the size of the Bug Jars? There are so many different mini sizes, I want to make sure I buy the correct size (because I will have to order online). Thanks! The jars are 1 1/2″ tall and 3/4″ diameter. The link I have in the post with the bug jar material list is: http://factorydirectcraft.com/catalog/products/1302_790_2332_1665-22967-miniature_glass_jars_with_stoppers.html?gclid=CJKbwuvBlLoCFc9i7Aod9hMAIQ, but I have seen them on Amazon too (I think). Good luck! Thank you! I didn’t see the link? Maybe because I’m looking on my phone. I will look them up, such a fun idea!!! I think the live links are hard to see because the letters stay the same size and don’t underline or anything; they just change color. I haven’t figured out a better way to “highlight” the link since my HTML abilities are limited. 🙂 Thanks for your note.